Need a quantum leap in office network capability? NETGEAR delivers a cost-effective solution. 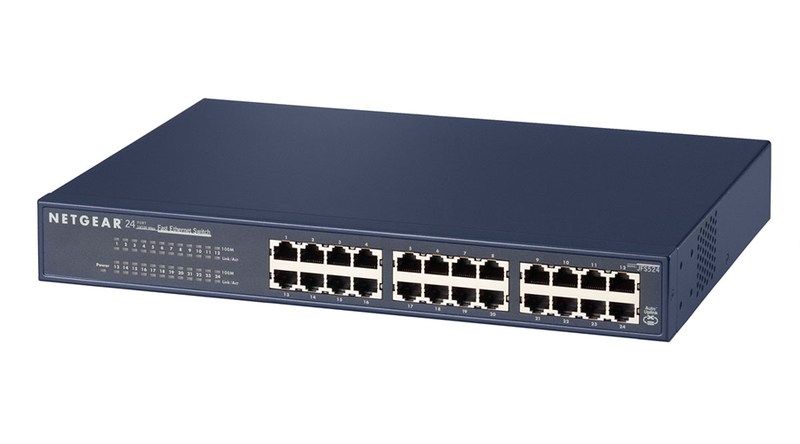 This unmanaged 10/100 Mbps Fast Ethernet switch provides expanded connectivity for small office networks so users no longer have to compete with each other for bandwidth. All of the essential features - automatic speed and full/half duplex sensing, 200 Mbps throughput per port, Auto Uplink - are included, but at an economical price that a value-conscious business owner can't ignore.